Mounts 8-, 9- or 12-inch tall Street Name sign to U-Channel or square post. with 12-inch slot. Mounts 8-, 9- or 12-inch Street Name sign to square or U-Channel post. with 5-1/2-inch slot for 6-inch Street Name signs. Used to attach 8-, 9- or 12-inch tall Street Name sign to U-Channel or square post. with 3-inch slot for 6-inch Street Name signs up to 24 inches wide. (45- or 180-degree settings only). with 5 1/2-inch slot. Attach one Street Name sign on top of another 6-inch Street Name sign. $8.25 Adjustable Cross Bracket with 5 1/2-inch slot for 6-inch Street Name signs up to 42 inches long. with 12-inch slot for 8-, 9- or 12-inch Street Name signs. For mounting 8-, 9- or 12-inch Street Name sign on top of another sign. with 3 1/2-inch slot. Used to mount 6-inch Street Name sign to top of a square smooth-cut 4X4 wood post. with 12-inch slot for mounting 8- or 9-inch Street Name sign atop 4X4 wood post. Mounts to the side of a post and designed for 30-inch or longer Street Name sign. 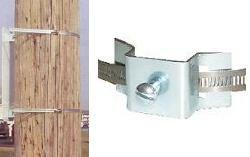 Light-duty bracket mounts smaller signs to wall or post. Decorative bracket comes with “s” hooks. Permits use of round bracket cap to mount Street Name sign to the top of a u-channel post. for round 2 3/8-inch pipe post. 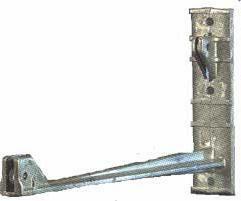 Square post anchor-to-top post connection, with nylon washers. Used to attach post base to concrete. 1-inch o.d. round, tapered, with nylon washer. Attach signs to posts or anchors to square post top or sign to post. 7/8-inch o.d. round, straight, with nylon washer. two mounting holes. Accepts 3/4-inch staff & mounts flat to post or atop aluminum sign with bolts or rivets. Used to warn motorists of traffic changes. 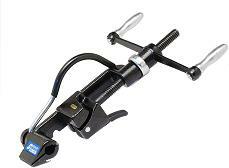 Three-prong flag-holder with dual pressure- plates eliminates need to screw into rib support. 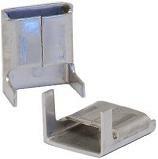 Three-prong flag-holder with slotted-channel and one mounting hole to fit vertical rib support. Two-prong flag-holder for Fold & Roll sign stand system. 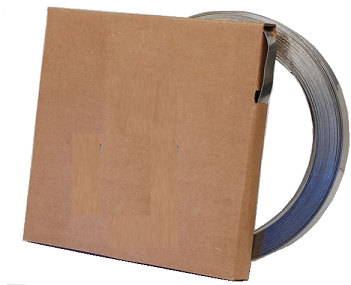 Tool for 3/4-inch SS Strapping. 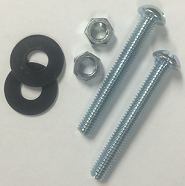 Used with pair of brackets and seals to install a single sign to a post.